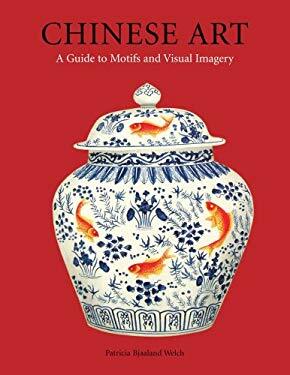 This book examines the meanings behind the hundreds of common motifs and symbols found in all forms of Chinese art, exposing their linguistic, metaphoric or historic origins, common usages and diverse applications. Plants, flowers, real and imaginary animals and birds, reptiles, fish and amphibians, colors, numbers, and a myriad of inanimate images and personages communicate auspicious and benevolent messages in the Chinese vocabulary of decorative art. Many of the symbols are easily recognizable, and thanks to China's love of the past, reappear almost continuously. A perfect reference for collectors, museum-goers, docents, students of Chinese art and anyone with a serious interest in Chinese culture and history, the book includes both Chinese and Pinyin text, over 500 illustrations (including references to on-line collections), extensive index in Chinese and English, bibliography, and a list of recommended museums and collections to visit with interesting collections of Chinese art.